Water ingress in buildings can be one of the main reasons for the building’s deterioration over time. That’s why it’s important to take some steps that will make the building resistant to the water passage and any damage that can be caused by it. For this reason, steady and consistent waterproofing is crucial to keep your building safe and avoid structural damage. In buildings, waterproofing is done with a help of membranes that protect the integrity of all the materials underneath. But since not all areas of the building are easily accessible from the ground and you want to completely waterproof your building, you need a good work at heights specialist to handle it. R.A.I.L. is one of the leading providers of rope access services in the UK. Our rope access technicians are skilled and experienced, possessing the tools and the expertise that allows them to safely access higher areas of buildings in order to perform complex tasks such as waterproofing. 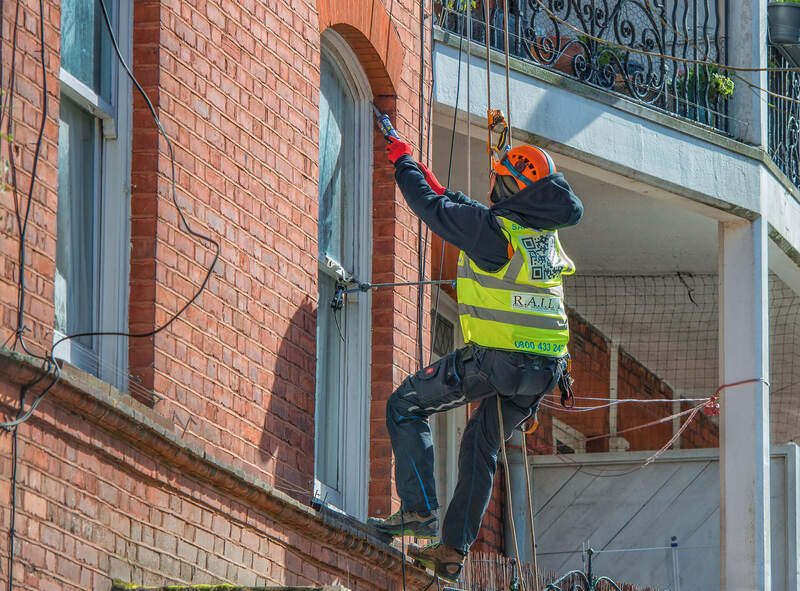 With the help of our rope access technicians, you can rest assured that your building will be waterproof in no time at all, and no one will get hurt in the process. R.A.I.L will help you to waterproof your precious property and also keep it looking clean and new. Give us a call today! We are ready to protect your property from the harming effects of the weather quickly and professionally.